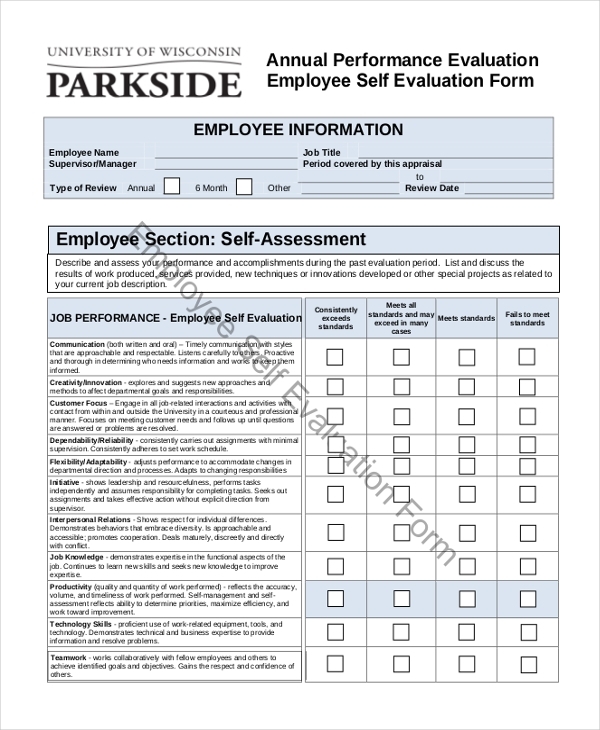 If you are a student employee who would like to know whether they are performing well in their workplace, you should use this form to evaluate yourself. The form is suitable for students on attachment as well as interns. 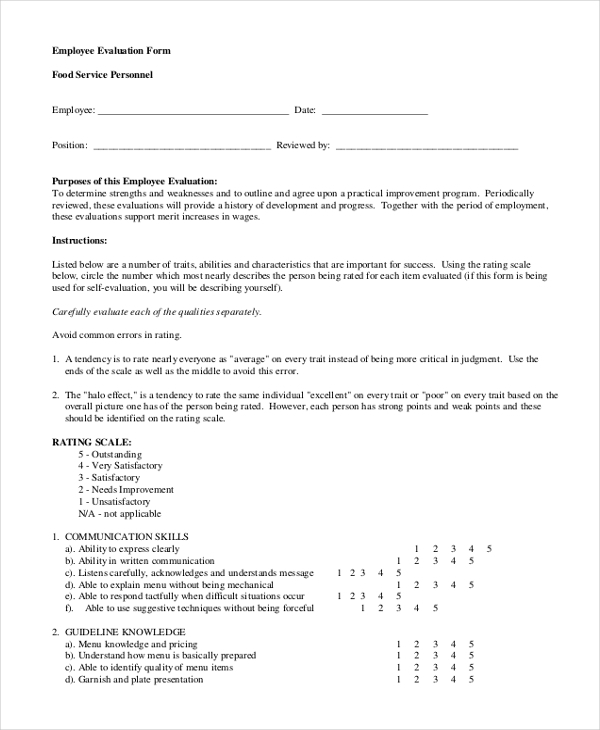 The questionnaire form has a list of important questions that you can use to assess how good you are as an employee in your company. The template has general questions targeting performance and development. Evaluating yourself gives you the reason to determine whether you have done your best as an employee in your company. Moreover, the form is easy to read and fill, so it should be easy to work with. 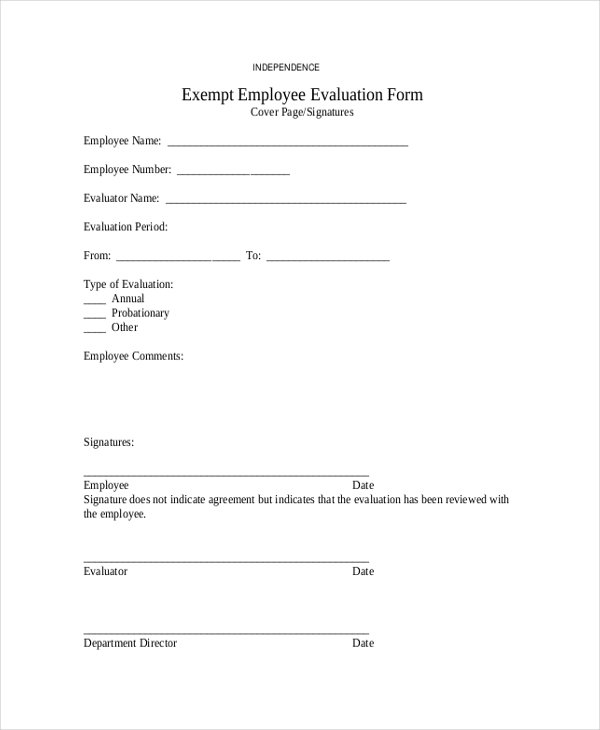 The evaluation form is free to download. You can edit the template, but it is always good to use it as is to save yourself time. In addition, the template is easy to read and easy to fill. The reason for the self-evaluation is to find out how you’ve been doing in your job. As such, you should take the evaluation process seriously, so make sure you fill in all the spaces with relevant answers. 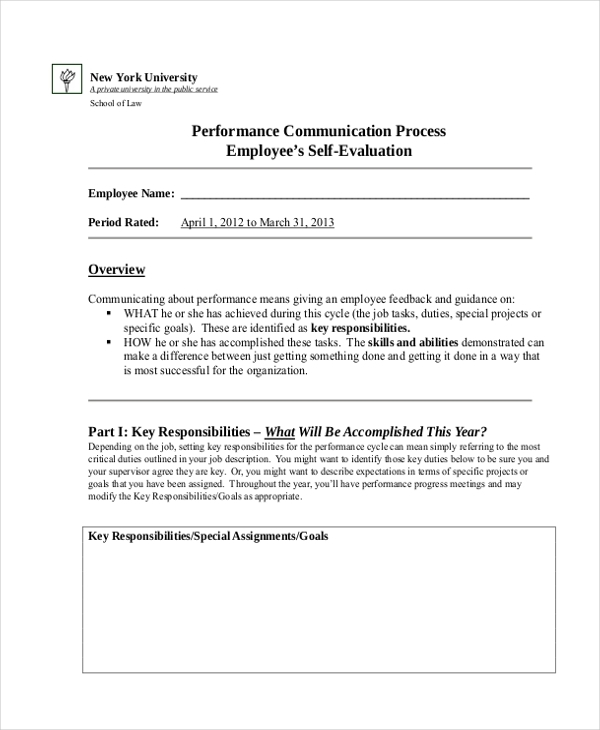 After a year of working for your company, you can use this form to evaluate your performance. Professionals argue that evaluation should be a continuous process, but there is nothing wrong with assessing yourself once each year. 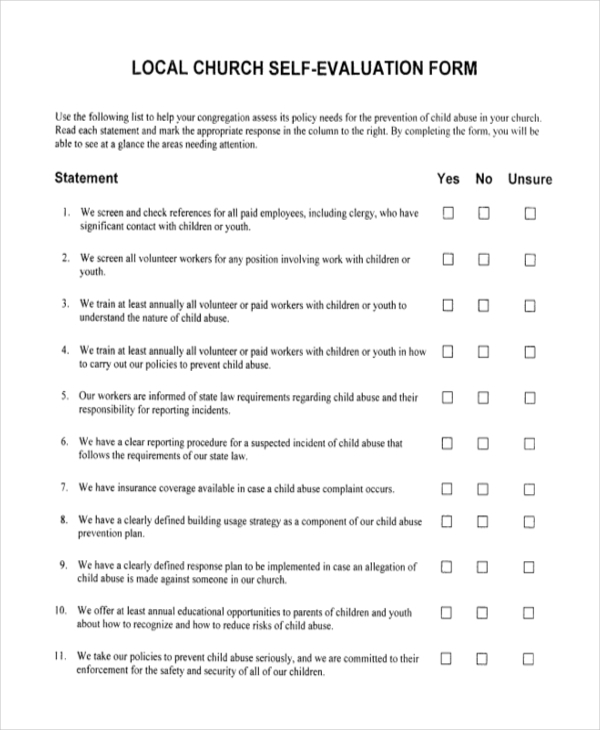 You still self-evaluation even if you are working in the church. That is precisely why you should use this template to assess yourself, and find out how good you are in your job. The template is free to download and easy to use. Knowing how good you are is always the first thing you must think about before you continue with work after the first one year, or six months. Therefore, use this template for evaluation. Employees working in restaurants can use this template as a challenge tool to help them answer important career questions. Know where to improve and where you are not doing better yet. What are the Advantages of Self-Evaluation? By evacuating yourself, you are able to determine whether you are making any progress as an employee in the company. Progress comprises of both career and personal development. Of course, many people work because they want to earn income, but it is important to put more focus on career and personal development first. Every employee had the tendency to make mistakes. In fact, many best, loyal employees in big companies are those who learned through failures. By evaluating yourself, you will know more about your shortcomings as well as your limits. You are able to know where you did well and where you were never good enough. By conducting a self evaluation, you are not only able to discover new ways of solving problems but also you are able to apply new work skills, especially those skills you possess but you initially thought they were unnecessary. Of course, you need new skills to solve problems, and that means you end up having a professional ability to solve problems. The first thing you need to agree with is that creating the self-evaluation form from scratch is not an easy job. In fact, if you choose to design your own form, you will end up wasting a lot of time on your computer – you are more likely to zone out because of boredom. Premade forms are different in the sense that you only get them with the click of a mouse. In fact, all you have to do is browse through the list of forms, determine the best template, pick the one you think is best for you, and then clock the download link to save the form to your local computer. People have never taken self-evaluation seriously. Maybe it is time people started putting more value on self-evaluation, the same way they give more attention to peer evaluation and employee appraisal.